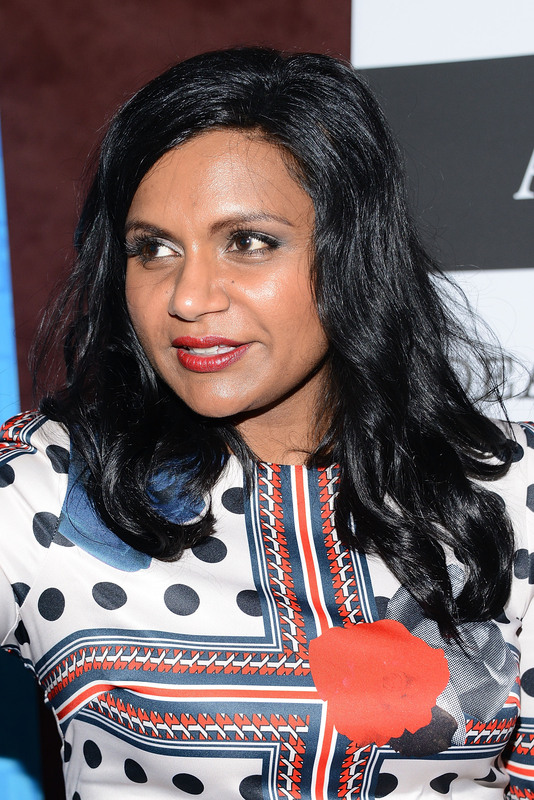 A second book by The Mindy Project creator and star Mindy Kaling seemed pretty much inevitable after the success of the first one, but now we've actually got a title. As was revealed to the LA Times, Kaling's next book is called Why Not Me? , a question she says "has kind of been my subconscious motto my whole life." That's a sentiment many can relate to — but what exactly will this book entail? Like her first (New York Times bestselling) book Is Everyone Hanging Out Without Me? (And Other Concerns), Why Not Me promises to be a book of essays. We doubt Kaling needs much of our input, but we still thought we'd look back at what we loved about that first one — and what we're most looking forward to reading in the second. There's a reason her show's based off of them, and it's cause the girl knows her stuff. That chapter on not sweating not being popular in high school was worth an A. Everyone who's ever contemplated a career in showbiz wants to know the stories of the people who've actually made it big, and she provided those in spades. "Best Friends Rights and Responsibilities" still resonates. This ranges from "Strict Instructions For My Funeral" to that one chapter where she just printed a bunch of the photos from her Blackberry, but it was all delightful. What was it like transitioning from eight years on The Office to being in charge of 100+ people and spearheading an entire new show? This one's a sad one, and we wouldn't bring it up if Kaling herself hadn't already. Her mom died the same day Mindy Project was picked up, and Kaling's mentioned it before, so you can bet there'll be some poignant and sad moment in this next book. People have been very confused by Kaling's politics in the past, and we have a feeling she's as bemused by it as we are. She's not required to tell us her opinions on every political issue (it's kind of weird that we look to celebrities so much for that stuff in the first place), but it'd be cool and potentially funny to hear her take on how people construct that narrative around her. What are Kaling's thoughts on Benedict Cumberbatch? What's the real story with her and B.J. Novak, and how do those When Harry Met Sally episodes of Mindy Project factor into that? What happened to the boyfriend she talked about in the first book? What are her opinions on Snapchat? On SNL's diversity debate? On Marvel superhero movies? On Game Of Thrones' extremely dangerous weddings? We just want to know what she thinks about pretty much everything.